Your Clients Sins: how state and federal employment laws can make staffing agencies liable for their clients’ mistakes. 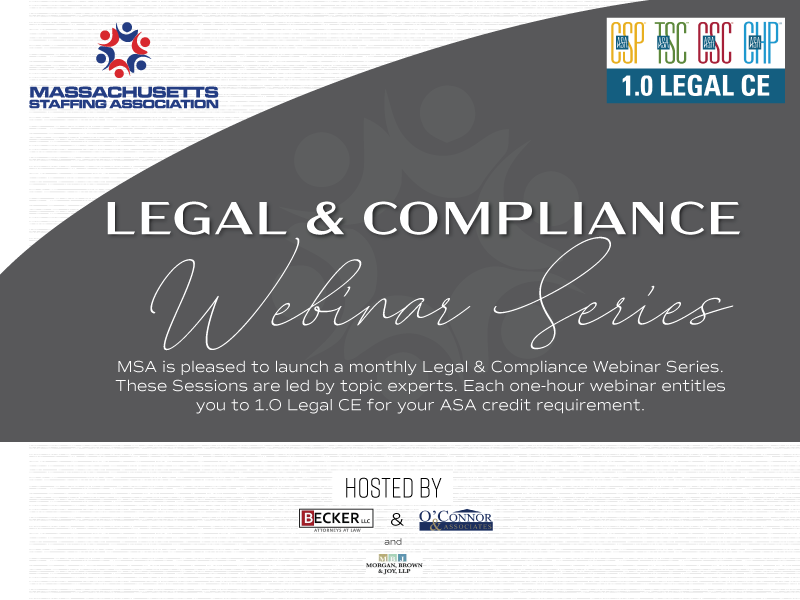 The seminar will cover the variety of state and federal laws regulating staffing agencies and other employers in Massachusetts that can create shared liability for non-compliance with employment laws. Attendees will learn how to protect themselves by developing policies that minimize potential for joint-employer liability. The seminar will also include a discussion of strategies for appropriate oversight of client labor practices, including monitoring clients’ legal compliance.